I don’t know about you, but the second I receive a baby shower invitation, my mind starts going EVERYWHERE thinking about what I might take. What is on the registry? Should I go shopping? Is there anything I can make? Let’s face it… we’re sewists… are always looking for an excuse to make something, right? And, a baby shower seems like the PERFECT EXCUSE. But then, what do you take? I always want to make tiny little clothes, because there are just never enough opportunities to make tiny, little clothes, but sometimes, those adorable little outfits are not the most practical gift to take to the shower, right? Everybody likes bringing newborn sized baby clothes for obvious reasons… they’re cute. But let’s be real for a second… how many newborn sized outfits do the parents-to-be really need? 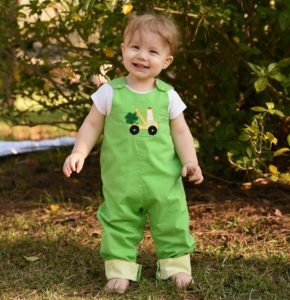 I can remember bringing home my gifts from my baby shower… before I bought the first outfit for my little boy, his closet was FULL. I’m talking TONS of clothes. Don’t tell anyone… but we had to return some of it. There was literally no where to put it all, and no way he was going to be able to wear it all! I was SO grateful for the gifts we were given, but WHOA – we had a LOT of clothes! Disclaimer: This Post Contains my Affiliate Link to these patterns. It does not cost you anything extra to use it. If you decide to purchase using my link, I will receive a commission from the sale. I know… I know… we just talked about why you might not want to bring an adorable little outfit. But maybe you have your heart set on it. 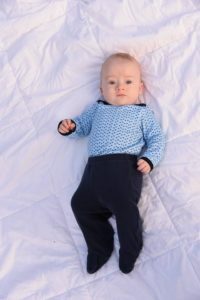 A handmade outfit is something the parents-to-be might treasure, and it’s something that you’ll put a lot of thought and time in, so there is nothing wrong with taking one! Some things you might consider though… You could ASK the parents if there is anything specific they want. If they know you sew, they might appreciate the opportunity to pick out fabrics and make decisions for a custom outfit of their choosing that they may not get otherwise. You could go with a theme! Like… if you KNOW they love a specific sports team or a certain movie series, you could totally look for fabric or an embroidery file or cut file to help you embellish what you make with that theme. For example, when my sister was expecting, I made a diaper for my nephew with an LSU design on it because my brother-in-law is an LSU fan! Or… SIZE UP! I saw a comment in a Facebook Group the other day about this. 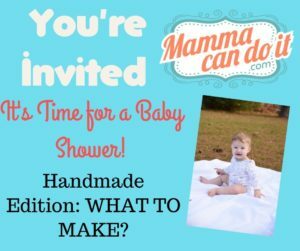 I loved this idea – one lady said that she only makes baby shower gifts in a size 18 month or greater. Now, that’s such a neat idea. So practical for many reasons. The parents may have TONS of clothes in the smaller sizes. It’s less likely that they’ll stock up on the bigger sizes before the baby arrives though. Also… did you know that once babies hit about a year old their growth seems to slow down some? They don’t grow out of these larger sizes as fast as they do the smaller sizes. It’s a fact! I LOVED how long my little boy was able to wear his handmade-by-mama 2T clothes. 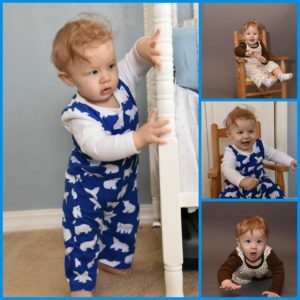 When my second was born, I made him a few outfits, and it was sad how much time I spent working on those adorable little 0-3 month outfits that he outgrew SO quickly! So, make the bigger baby sizes and baby gets more wear from the custom-made outfit! These bloomers were modified a tiny bit to be more suitable for a boy. Lets face it, babies require a whole lot more stuff than just a super cute wardrobe. Yep, you can totally make other stuff that could be super useful! And MCDI has patterns for it! 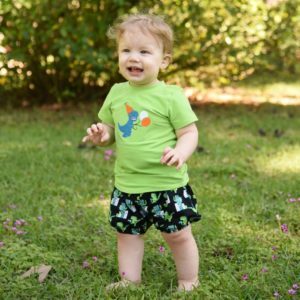 Have you seen the “Baby Gear” section of the website? You can make something so practical and useful, like a sleep sack or a nursing pillow! And… bibs! Babies will NEED bibs. Whether they need them to protect their clothes from reflux when they’re younger, or for trying out new foods when they get a little older, it seems like everyone always has a shortage of bibs! Maybe make a few in some fun, cute prints! Some of my favorite bibs for my little guy were ones that someone made! They were cute cotton prints on the front backed with terry. We loved them! Check out the MCDI Bib Pattern. Pair a few bibs with a couple of adorable burp cloths, and you’ve got a nice little gift set! Does mom have a carrier, wrap, or a sling on her registry? You could make her one with a MCDI pattern! Even if she gets two, sometimes it’s nice to have an extra. If baby spits up or something on one and NEEDS to be washed, maybe it’s nice to have a back up in the car. Or, if they actually get an extra, she could return it and get something else she really wants or needs. Plus, you may be able to find a print that mom or dad will really love that isn’t available in the store! 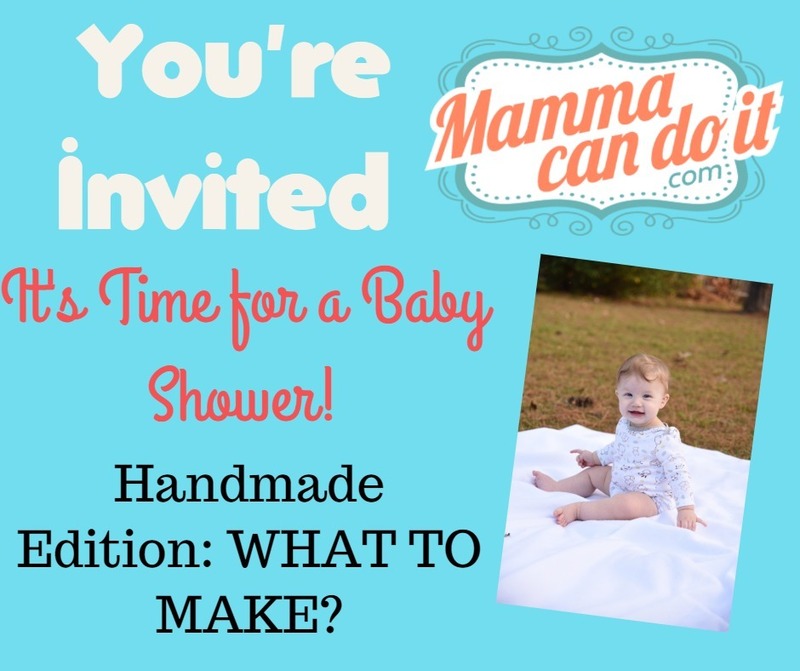 Baby showers are so sweet, and it’s a great way to stock up on all of the things needed for babies, but sometimes it is nice to take care of the mom-to-be as well! The last few weeks of pregnancy can be super uncomfortable. If she doesn’t have one yet, she might REALLY appreciate a pregnancy/body pillow! I would for sure ask about this first though! If mom is planning on nursing, these nursing shawls are awesome! A nursing cover was one thing I ended up purchasing for myself. I love the way these drape over and cover everything nicely, but mom can still peek in easily to see baby. My sister actually used a nursing cover similar to these for skin-on-skin time when her baby was in the NICU. They really are practical! If you want to do something a little “extra,” maybe throw in a gift card for mom to have a manicure and pedicure before delivery day. Maybe you’ve decided to grab something off of the registry, or maybe you’re getting a gift card for mom. 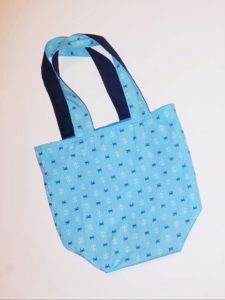 Make an adorable gift bag with the Adventure Bag Pattern. 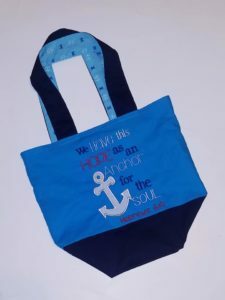 Remember you can get this bag free with a code from the MCDI Facebook Group! After the shower, the bag can be used to carry baby stuff, be a reusable shopping bag, or even carry breast pump pieces if you use a water resistant layer (like PUL or something). I LOVE this little bag pattern. It goes together so quickly and easily, and makes a cute presentation of the gift rather than purchasing a $5 gift bag. A coupon? 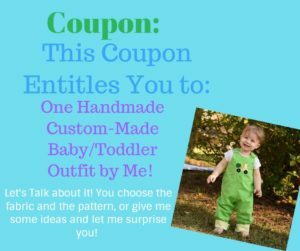 Yep… give her a coupon for a custom-made by YOU outfit! When she has time/ wants to, she can choose fabrics and design for the little outfit for you to make for her sweetie! So there you have it… ideas! You do make you want, of course! And anything you take will be appreciated, I’m certain! But just a few ideas for what you might take, in case you need them!